It’s Wednesday! And it’s time to show my current wip. 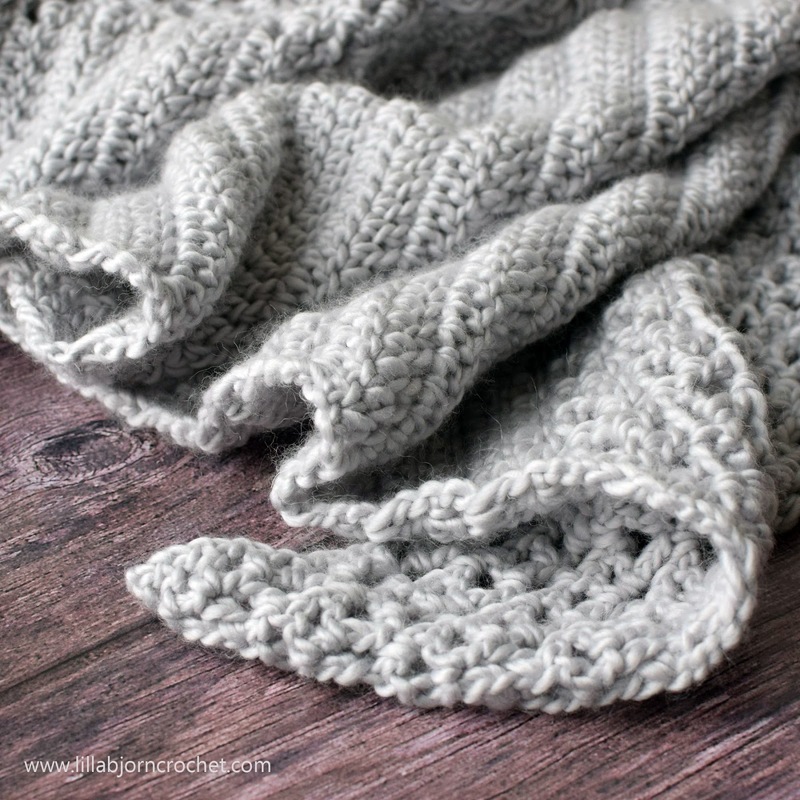 I’ve been working on a new crochet design recently, using heavenly soft Namaste* yarn by Scheepjes. My idea was to combine lace, open parts with simple cables. And to achieve a chunky, but light look. And it worked pretty well, I believe. I still need to block my shawl before I can reveal it. But I couldn’t help myself and here are several wips. You know what is the most difficult in crochet design for me? Not to find an idea. They stick pretty well, and they are too many. And not to actually design – that also comes out naturally. Pattern writing can be a problem, especially if design is a bit tricky and it’s necessary to simplify instructions. 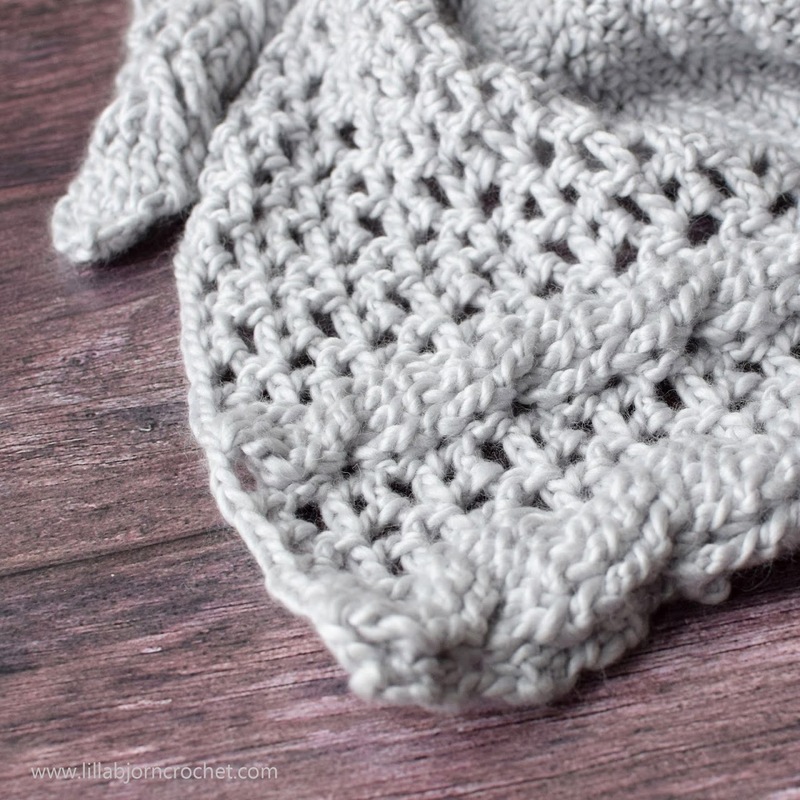 But the most difficult part in releasing a new pattern for me is… to think of a nice name! In very rare occasions the name comes first. And that was the case of the Living Lagom Shawl. If you follow my blog for a while now, you might know that I fell in love with Sweden. And if you ask me why, I am not sure I could explain it clearly. Well, I couldn’t before last summer, when I suddenly came across a fantastic book by Niki Brantmark. The book is called “Lagom. The Swedish Art of Living a Balanced, Happy Life”*. 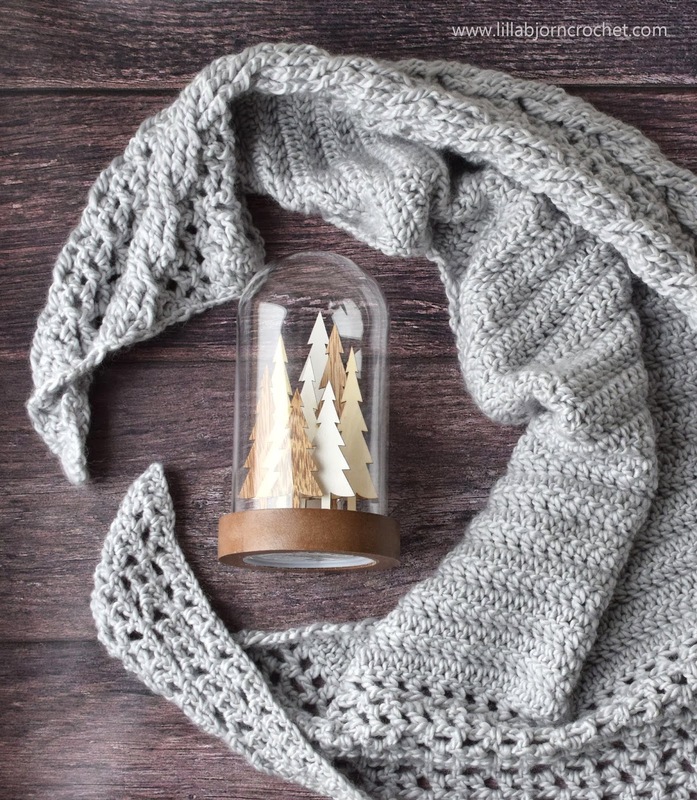 Niki is running a very successful and inspiring blog My Scandinavian Home. If you are looking for open, airy, laconic interiors inspired by light, make sure to check it out. I have been reading her blog for a while now, and I find inspiration in every single blog post. So Lagom… Every time I come to Sweden I smell something in the air, and I feel it with my skin. Something I still can’t put into words. Something that makes me feel very comfortable and relaxed. And something I am trying to exercise in my daily life now. Sometimes it works, sometimes it doesn’t. I am not sure if there is translation of “lagom” word in English… Probably not. But it literally means “not too much, and not too small. Just right”. And it can be applied to any area of life: personal life, relationship, home, work, parenthood, your inner world… For me “lagom” is about staying calm and feel balanced. And my new Living Lagom Shawl is just like this. Soft, hugging, bringing peace and quite. See you next week for a reveal? Looking forward to the pattern being published. 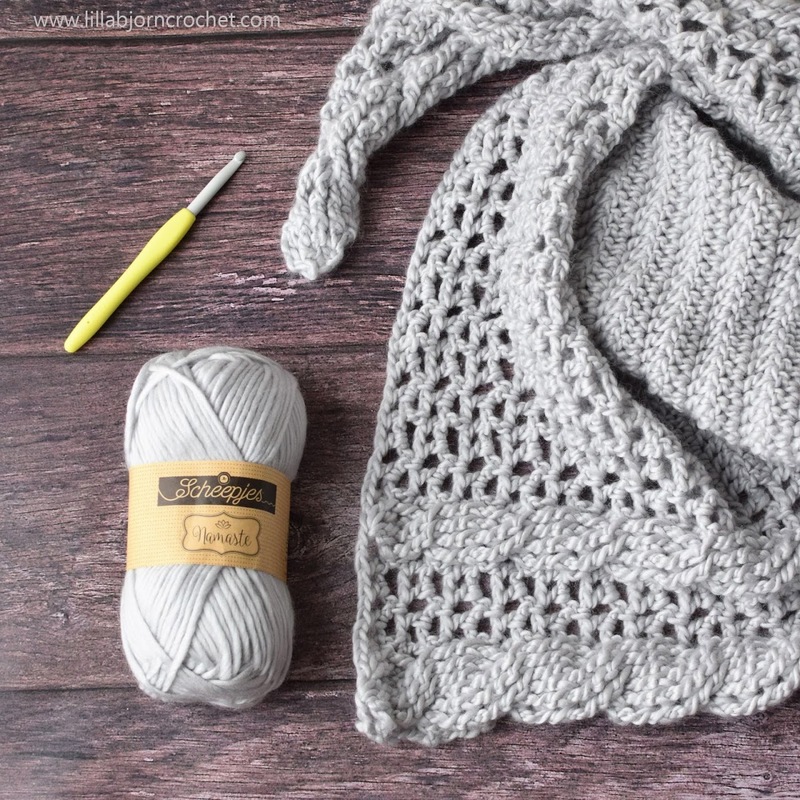 I love the Namaste yarn and I think I will be making this in the red!